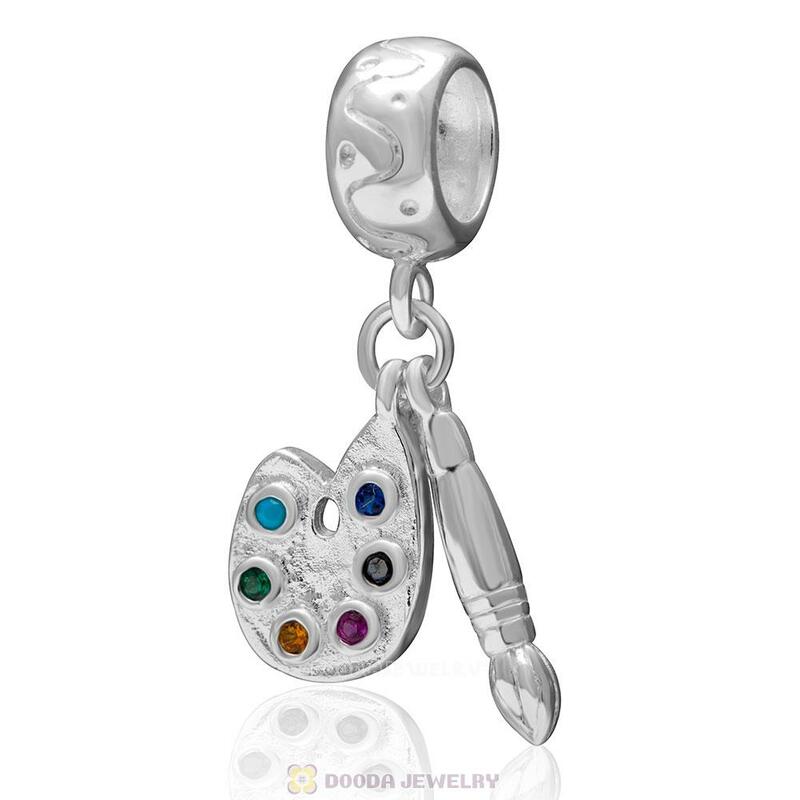 The Palette and Paint Brush charm is designed for draw lovers.It is made in 925 sterling silver and inlay colorful stones, a great addition to your European charm bead bracelet or necklace. 1. Feature: Each Sterling Silver Palette and Paint Brush Charm for European Charm Bracelets are made by high skilled worker, Perfect processing, 100% physical picture, fit perfectly on major brand european chains as well as our very own interchangeable bracelets, necklaces and bangles too.